Team Hawkguy has been hit hard, and now they're going their separate ways. 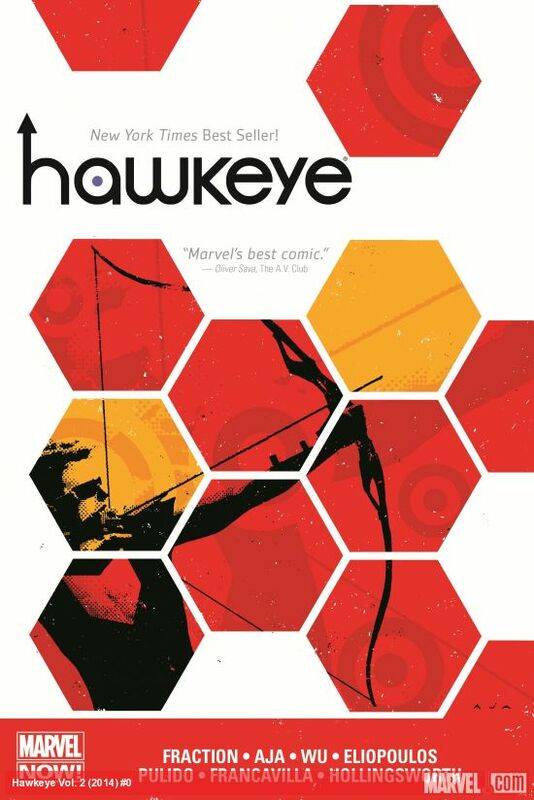 Kate Bishop is on a journey to find herself in L.A. Trouble is, Madame Masque finds her first. Meanwhile, Clint's back home in his apartment building. Kate took the dog, so he's badly in need of a best friend. It's a good thing that Barney Barton, world's greatest brother, is back in town - right? The Tracksuit Draculas want their building back, and they're getting serious. Clint's going to end up deaf, or worse. It's all racing to the big finish. Hawkeye against an army, with a little help from all the friends he can find. Like that movie Rio Bravo, if John Wayne wore purple.